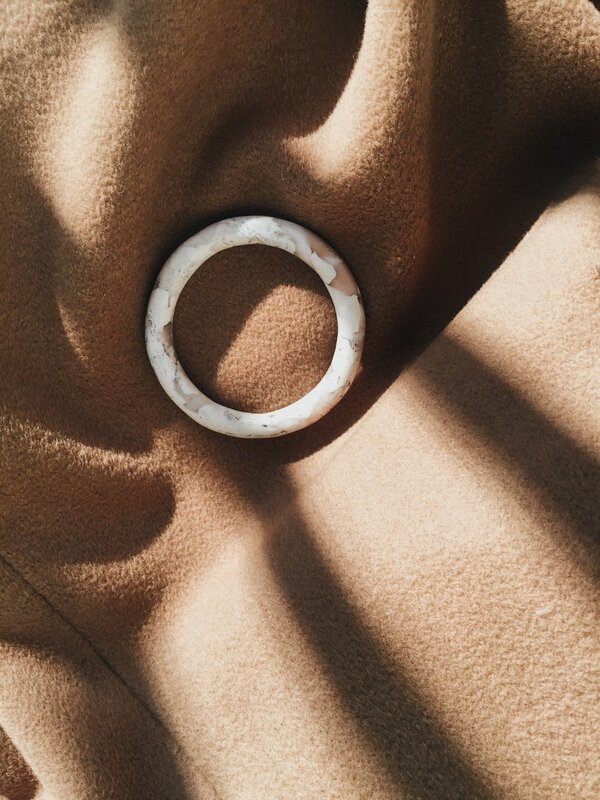 Minimalist and bold marbled bangle. A playful bracelet that can be stacked with all your favorites. A perfect birthday or just-because gift that gives the wearer a beautiful confidence. Can be dressed up or dressed down. Bold bangles for any occasion. See also the modern Squared Edge Bangle.